This is one of my favorite shots of the day because it's the high kicking cheerleader equivalent of the Heisman pose. Straight leg up. Straight leg down. A Jacksonville Jaguars cheerleader performs during the second half of an NFL football game against the Buffalo Bills in Jacksonville, Fla. The Dallas Cowboys cheerleaders performed during a game earlier this season. 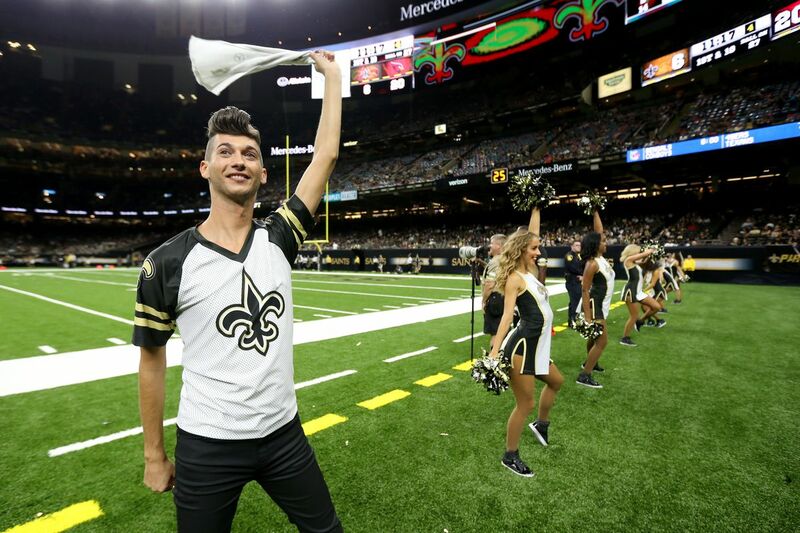 New Orleans Saints cheerleader Jesse Hernandez on the sidelines during the preseason game against the Arizona Cardinals at the Mercedes-Benz Superdome. Photo of cheerleaders performing at the 2006 Pro Bowl "
We continue our coverage of Week 1 of the NFL regular season with another look a those shield maidens from the North, the Minnesota Vikings Cheerleaders. 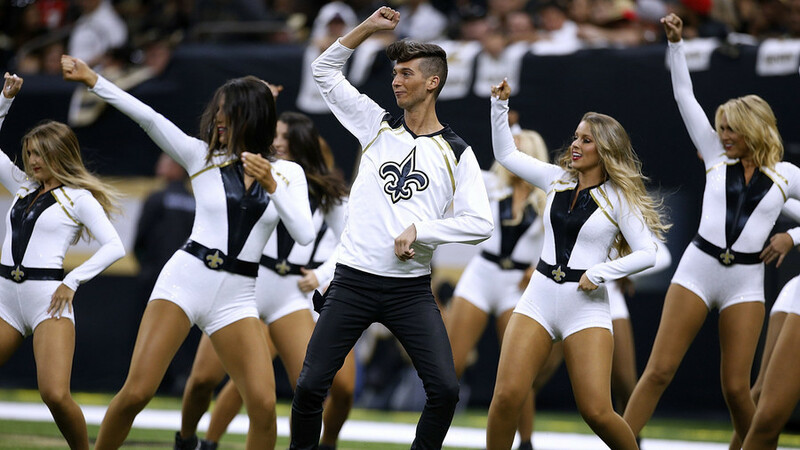 Does the NFL discriminate against cheerleaders?